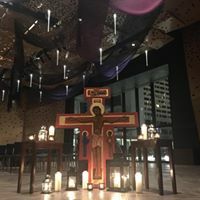 The words and music about vocation at the January 26th and February 9th worship services at Minneapolis’ Westminster Presbyterian Church have inspired my general thoughts about vocation set forth in a prior post. Now I reflect on my own vocations. Until I was in my early 40’s, I had no religious beliefs after high school and no sense of vocation. That started to change in 1981 when I joined Westminster and embraced what I now see as my first vocation: serving the church as a ruling elder (1985-1991) and over time as an active member of several of its committees (Spiritual Growth, Communications and Global Partnerships). More recently I joined its Global Choir. After all, a new member covenants to find “a definite place of usefulness” in the church. For 10 years (2003-2013) I served as chair of Global Partnerships, which supervises the church’s partnerships with churches and other organizations in Cuba, Cameroon, Palestine and for a time in Brazil. This lead to my going on three mission trips to Cuba, one to Cameroon and another to Brazil. As a result, I established personal friendships with people in those countries as part of our collective, and my personal, vocation of being present with our brothers and sisters in other parts of the world and standing in solidarity with them. I also learned about the history, culture and current issues of those countries. This in turn lead to a strong interest in promoting reconciliation between the U.S. and Cuba and Cuban religious freedom, and as a U.S. citizen I have endeavored to do just that. This sense of religious institutional vocation also encompassed my serving on the Board of Trustees of United Theological Seminary of the Twin Cities for another 10-year period (1988-1998). In my small way, I helped nurture future ministers of the church. In the process I got to know interesting members of the faculty, administration and board and about the life of U.S. seminaries. I, however, initially struggled with how to integrate my newly reclaimed religious beliefs and my life as a practicing lawyer, and over the years found ways to share this struggle with others, especially with my fellow lawyers. One way I discovered a vocation in the practice of law resulted from experiencing the bitterness and lack of reconciliation between opposing parties in litigation and, too often, as well between their lawyers, including myself. This experience lead in the late 1980’s through the 1990’s to a personal interest in, and writing and speaking about, alternative dispute resolution (ADR), one of whose objectives is resolution of such disputes more amicably, and to my active participation in the ADR Section of the Minnesota State Bar Association. Another and more powerful vocation involving my professional life emerged when a senior partner of my law firm in the mid-1980’s asked me to provide legal counsel to the firm’s client, the American Lutheran Church (“ALC” and now the Evangelical Lutheran Church in America). The problem: how should the ALC respond to information that the U.S. immigration agency (INS) had sent undercover agents into worship services and Bible-study meetings at ALC and Presbyterian churches in Arizona that provided sanctuary or safe places to Salvadorans and Guatemalans fleeing their civil wars. The conclusion of this engagement was the ALC and the Presbyterian Church (USA)—my own denomination—jointly suing the U.S. government to challenge the constitutionality of such spying. Eventually the U.S. district court in Arizona held that the U.S. Constitution’s First Amendment “free exercise” of religion clause protected churches from unreasonable government investigations. U.S. immigration law was in the background of this case, but I did not know anything about that law. I, therefore, sought to remedy that deficiency by taking a training course in asylum law from the Minnesota-based Advocates for Human Rights. I then volunteered to be a pro bono lawyer for a Salvadoran seeking asylum in the U.S. because of his claim to a well-founded fear of persecution in his home country because of his political opinions and actions opposing its government. Again, my initial motivation for this action was to be a better lawyer for the ALC. I discovered, however, that being a pro bono asylum lawyer was my passionate vocation while I was still practicing law and continued doing so until I retired from the practice in the summer of 2001. In addition to El Salvador, my other clients came from Somalia, Afghanistan, Burma and Colombia. I was able to assist them in obtaining asylum and thereby escape persecution. In the process, I learned more about asylum law and other aspects of immigration law as well as the horrible things that were happening in many parts of the world. I was able to use my experience and gifts in investigating and presenting facts and legal arguments to courts and officials and came to see this as one of the most important and rewarding vocations I have ever had. In the process of this asylum work, I also learned for the first time about the humbling and courageous ministry and vocation of Salvadoran Archbishop Oscar Romero, who was assassinated in March 1980 because he repeatedly spoke out against human rights violations in his country. He now is my personal saint. I also learned about the important and courageous work in that country by the Jesuit priests and professors at the University of Central America, six of whom were murdered in November 1989 for the same reason, and they too have become heroes for me. Another Salvadoran I met on my first trip to that country enriched my sense of the potential for vocation in practicing law. He was Salvador Ibarra, a lawyer for the Lutheran Church’s human rights office, who spoke about the joy he experienced in his work. After retiring from the full-time practice of law in 2001, I served as an Adjunct Professor at the University of Minnesota Law School (2002 through 2010) to co-teach international human rights law. I thereby hoped to encourage law students to become interested in the field and to include such work in their future professional lives. Thus, this became another vocation with the side benefit of enabling me to learn more about the broader field of international human rights. I chose another retirement in 2011, this time from part-time teaching, in order to start this blog about law, politics, history and religion. I came to see it as yet another vocation. I think it important to share my religious experiences and beliefs in the midst of active consideration of legal and political issues and demonstrate that it is possible for an educated, intelligent individual to have such beliefs. In 2011 as a member of the planning committee for my Grinnell College class’ 50th reunion. I thought we should do more to remember our deceased classmates than merely list their names in our reunion booklet. I, therefore, suggested that if each committee member wrote five or six obituaries, we would have written memorials for all of our departed classmates. However, no one else volunteered to participate in this project so I did it all myself except for a few written by spouses. After the reunion, I continued to do this when the need arises. Although this project required a lot of work, I came to see it as pastoral work and rewarding as I learned about the lives of people, many of whom I had not really known when we were together as students. I drew special satisfaction when I learned that a classmate who had died in his 30’s had two sons who had never seen the College annuals that had a lot of photographs of their father as a physics student and co-captain of the football team, and I managed to find a set of those annuals which were sent to the sons. I thus came to see this as a vocation. Many of these vocations resulted from invitations from others to do something, which I accepted. 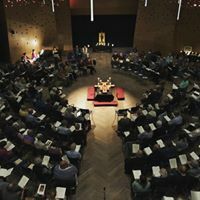 Initially the invitations did not seem to be calls for a vocation, and it was only after doing these things and reflecting upon them that I saw them as such. The concept of vocation often seems like doing something for others without any personal rewards other than feeling good about helping others. I, therefore, am amazed by the many ways I have been enriched by these endeavors. I have learned about different areas of the law, different countries and the lives of interesting people, living and dead. 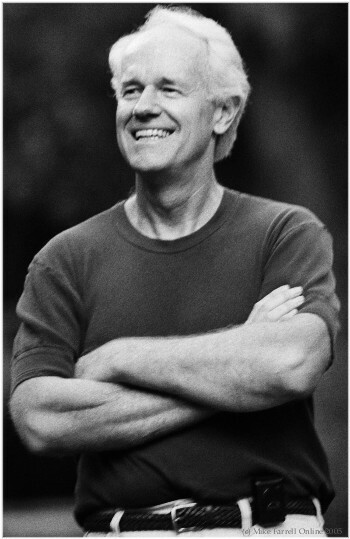 Tonight, June 21st, a Somali immigrant, Ifrah Jimale, met Mike Farrell, the actor who played Captain B.J. Hunnicutt on the long-running, popular U.S. TV series “M*A*S*H.” The occasion was the annual fund-raising dinner and celebration for the Minneapolis-based Advocates for Human Rights. Ms. Jimale told her amazing and moving personal story to the audience of 1,000 people. In the Somali nomadic tradition, she was sent by her family to the U.S. to see if it was a place where the family could live in peace and security. Her initial impressions of the U.S. were not positive. At the Cincinnati airport, when she told a U.S. immigration agent that she was a “refugee,” Ifrah was immediately detained and jailed and forced to wear a red jump suit. After a considerable period in a Cincinnati jail, she was told that she was being transferred to another immigration detention facility in Atlanta. She had no idea where that was; she thought it might be in Mexico. In Atlanta she was kept in that detention facility for another period of time. Finally she was released into the care of a relative. She then came to Minnesota, where she was put in touch with Advocates. 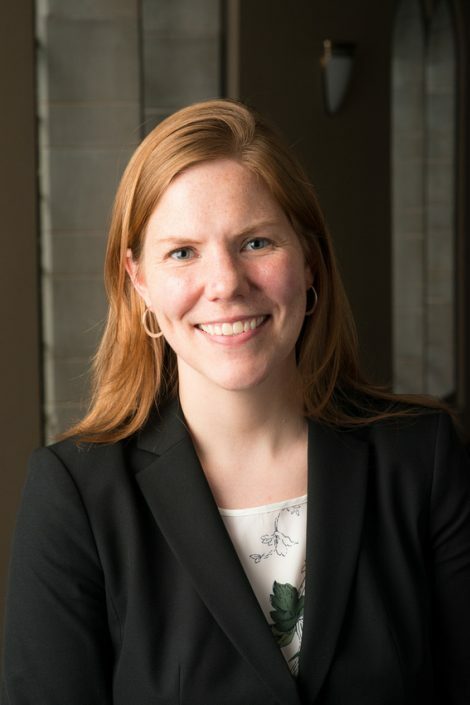 The organization provided her a pro bono (no fee) attorney, who helped her obtain asylum in the U.S.
Ifrah was illiterate when she came to the U.S., but she found a Minnesota teacher who taught her how to read and write. Eventually Ifrah obtained a college degree at the University of St. Thomas in St. Paul, Minnesota. 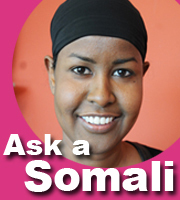 She now is a journalist with a blog for the Twin Cities Daily Planet called “Ask a Somali.” Earlier this month the Minnesota Society of Professional Journalists awarded her blog second place in the independent news blog category. Ifrah with a big smile thanked Advocates for helping her to find her life in the U.S.
My May 20, 2011, post, “Two Women “Shakers” Rock Minneapolis Dinner,” reported on last year’s annual dinner for Advocates for Human Rights. The principal U.N. agency concerned with such refugees is the Office of the United Nations High Commissioner for Refugees (UNHCR), which was established by a December 1950 resolution of the U.N. General Assembly. Its purpose is to safeguard and protect the rights and well-being of refugees and the right to seek asylum. Over time its mandate has broadened to include internally displaced people (IDP) and stateless people. Every year it publishes detailed statistics on all of these people of concern to UNHCR. The overall statistics for 2011 should be published by UNHCR in June 2012. Just recently it published its report on one part of this new set of statistics–asylum applications in 2011 in 44 industrialized countries, including the U.S. The total of new applications was 441,300, which was 20 % more than in 2010 (368,000). The 2011 level is the highest since 2003 when 505,000 asylum applications were lodged in the industrialized countries. With an estimated 74,000 asylum applications, the U.S. was the largest single recipient of new asylum claims among the 44 industrialized countries. France was second with 51,900, followed by Germany (45,700), Italy (34,100), and Sweden (29,600).